Click to enlarge. 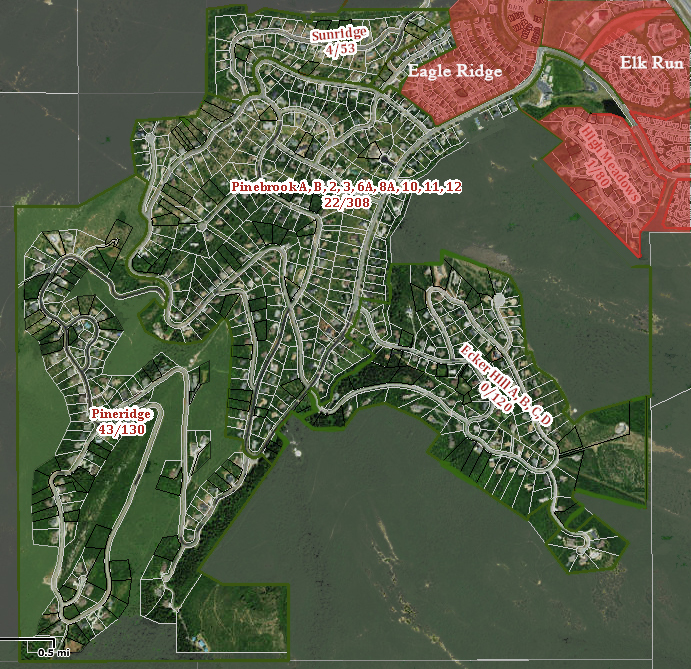 Green areas represent homes within the Pinebrook HOA. Red areas represent other HOAs. ** New construction in High Meadows is subject to Pinebrook Architectural Control Committee review and approval. The pavilion at Pinebrook Park is available to any member of the Pinebrook Master Association. To request a reservation for the Pinebrook Park Pavilion, please visit www.pinebrookmasterassn.org. We want this website to become a valuable resource for Pinebrook residents. Use the navigation on the right side of this page to read current and past PHOA newsletters We have also posted fire safety information and area civic and government contacts. If you have a suggestion that would make this website more useful for Pinebrook residents, please contact us.